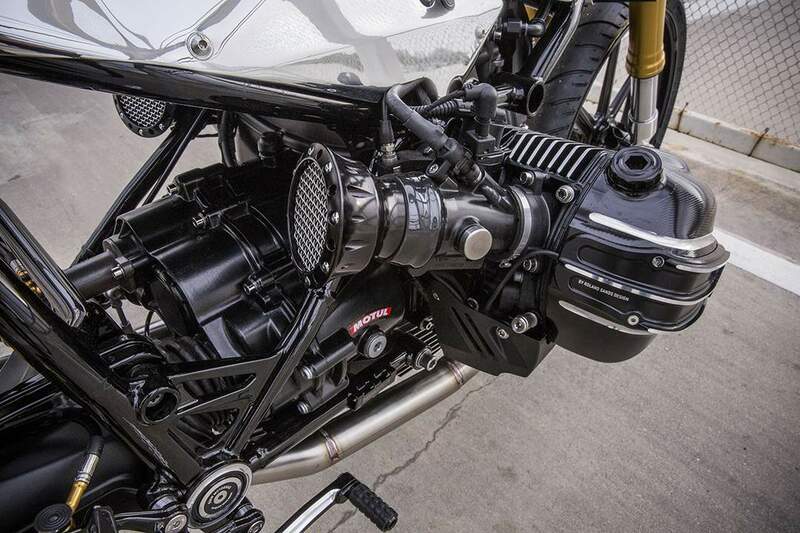 Roland Sands lifted the cover off the BMW R NineT 9T Cafè Tracker at the Handbuilt Show in Texas. 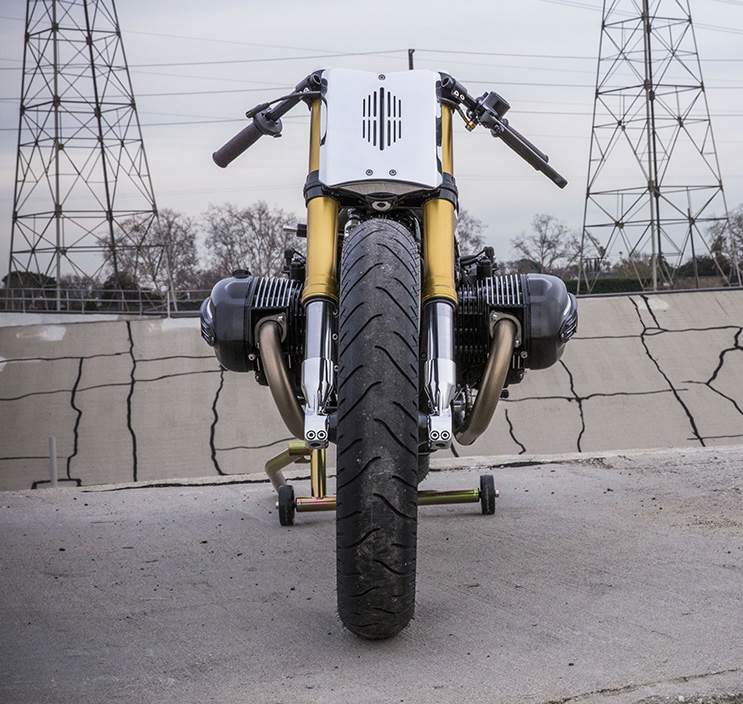 A machine crossed between a board tracker and cafe racer, one of the bike's significant features is the aggresive look achieved with a frame raked and cut to accommodate the 21 inch Morris wheels. 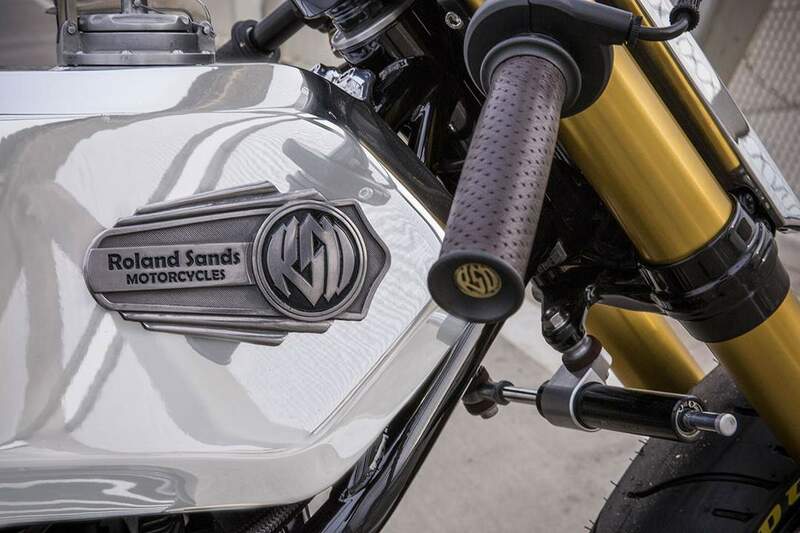 Discussing this fresh take on an R nineT, Sands says, “It fuses cultures, eras and performance into a very simplified derailment from what’s been done to the 9T to date. 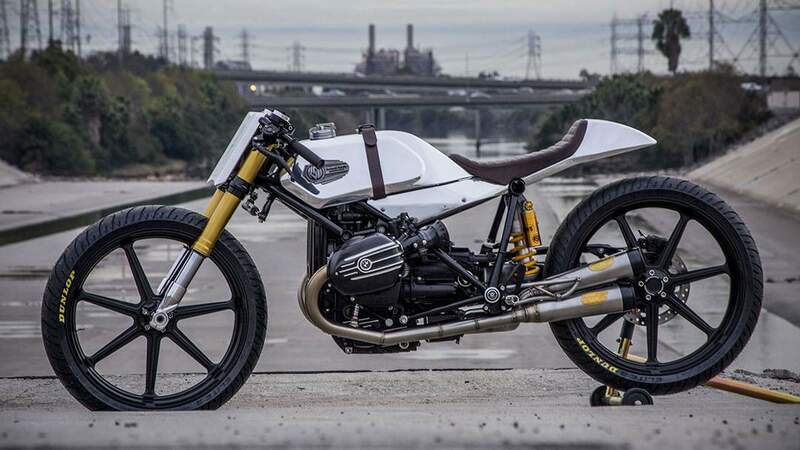 We built the bike for a friend here locally that’s a big BMW fan. He’s got quite a few unique cars and bikes and this was one he wanted for a display in one of his stores. He was really into the board track direction so we blended that idea with a bit of café race flavor to come up with something in between. A Café Tracker maybe. This bike was a close cousin of the Indian we did a while back that had a similar shaped gas tank. But with the BMW we wanted to keep all the suspension modern and fully functional where the Indian was a rigid with a girder fork. This obviously helps with the way the bike rides, but with the stretched out neck it steers a little heavier than the stock bike. It’s still manageable and fun to ride though and with the narrow 120 x 21” Dunlop tires it still steers pretty quick. It’s a concept board tracker build. No front brake. 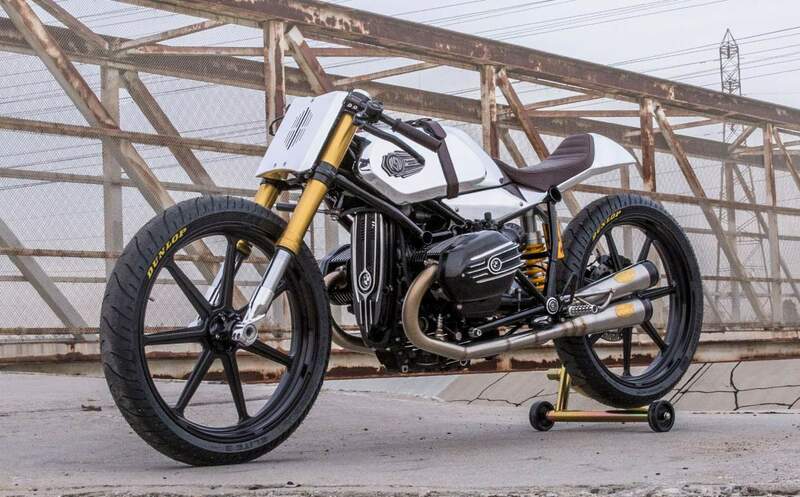 No kickstand, no lights and completely inconvenient for everyday use outside of the fact it’s a BMW and will fire up every time and run forever. The bike will sit in a glass case after it gets back from the hand built show on a custom center stand. So yea… it’s not street legal. We always try to use the original fuel pumps and this bike was no exception. We machined the necessary parts to adapt the fuel pump and installed it into the tank built by Aaron Boss our chief fabricator. We chopped the neck and raked it out to accept the 21” front tire and to effectively lower the bike. We shaved off all the unnecessary mounts and cut off the sub frame mounts in the back and shaved everything to flow with the bodywork and built a new subframe to accept our tail. We also created a box in the frame to hold the huge pile of electronics that are now concealed by the aluminum side panels."